I spent a hot summer before my sophomore year in college studying my Grammar for Journalists book. I was preparing for the dreaded test that the University of Wisconsin Journalism School gave prospective students as part of the admissions process, and was told that more than 60 percent failed. 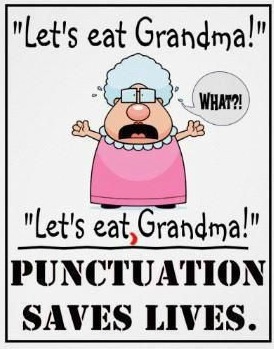 I was one of the fortunate who passed, and thus began my obsession with grammar. Sometimes this obsession can drive me bonkers. I catch grammatical mistakes on billboards, television screens, web sites and newspapers. I often catch them when reading a novel, and I have to convince myself to not let that ruin the book for me. 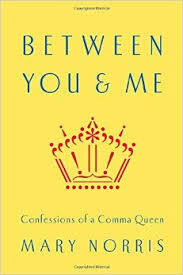 Pick up Between You & Me if you relish the English language and want to brush up on its usage, such as who vs. whom and that vs. which. Grammar has never been so entertaining. May 29, 2015 in Read - Watch - Listen.